The odds of making a Hole in One are not skyrocketing high. The odds of making two Holes in One within three holes are 1:65,000,000 accordings to a local Florida newspaper. We found the guy, who proved them all wrong. Jerry, 79 years young, Vice player, congenial and married (important for all of the ladies who do not only fall in love with the story but also with Jerry) made it happen. Sitting at the desk, writing this text, Jerry is probably out on the hunt for his next Hole in One. 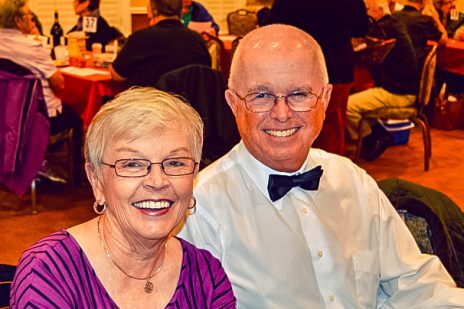 A physicially very fit, smiling golf enthusiast, Jerry Bass is aged 79, Port Orange-based and has been playing golf for more than 67 years. His parents were golfers and got him started back in 1952. An avid golfer ever since, he became a single-digit handicapper over time, scored uncountable birdies, pars and bogeys. 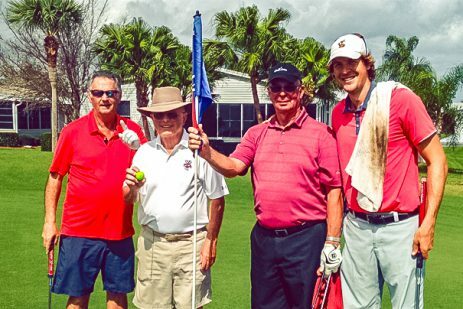 Nevertheless, he had never experienced the rare feeling of filling in a „1“ on his scorecard until his 78th birthday about 18 months ago when he recorded his first ace at Crane Lakes´ 11th hole. While reading, you may think that Jerry retired from golf after this ultimate shot – but he actually only got started… a few month later, Jerry decided that one Hole in One was too standard these days, teed up his on a private round at Crane Lakes´ 13th hole and repeated the story in an irredeemable manner. 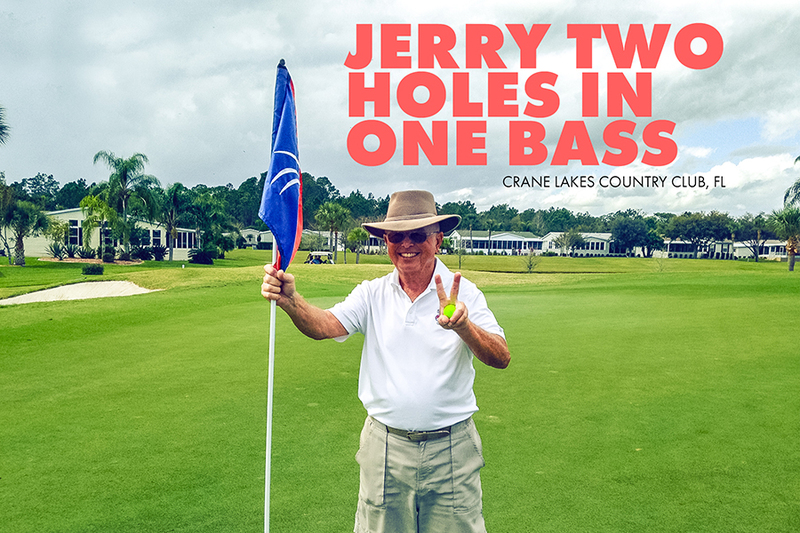 Seemingly, he had tasted blood and from that moment on, Jerry wanted to sense that incredible Hole in One feeling again and he did: In late February of this year, he teed up at a Pro-Am event at his home course at Crane Lakes and chose his lucky number 13 again, a 130-yards Par-3 where Jerry hit a rather thin 8-iron that sailed low, but straight towards the green, scooted over the surface and hit the center of the flagstick and went it. Shortly after, „about 20 minutes after my hole in one at 13“, Jerry recalls, the flight approached the 15th teebox, another par 3 and the initial situation was similar: A 135 yard par 3, “a clean 7-iron started straight”, remained straight, landed three feet short of the flag, and went in as if it had been played on a computer simulator. The group whooped, hollered, jumped around, hugged and could not believe what they had just seen: Two Holes in One within three holes, 20 minutes, only four shots in between these two incredible golf moments. Many of you readers may wonder what golf ball is capable of going in twice for a Hole in One within one round: Jerry plays and trusts the Vice PRO NEON LIME. Although his wife and he were both sceptical about the visibility when they unboxed the ball first, they quickly realized that these balls were „the easiest ball to see I have come across“. And although his fellow golfers still razz him about the color, they agree about the visibility and the perfomance of two holes in one speak for themselves. Posted in Uncategorized and tagged golfballs, vice pro neon lime, vicegolf. Bookmark the permalink.